Somehow whilst internet surfing this morning i stumbled upon Fab Ciraolo and his amazing illustrated design work, my favorite, above, is my new screen saver. I didnt think Marelene D could be more dope than she already was but with a sleeve and chest tatt?!? Stop it already! More amazing artwork can be found by Fab on his blog. 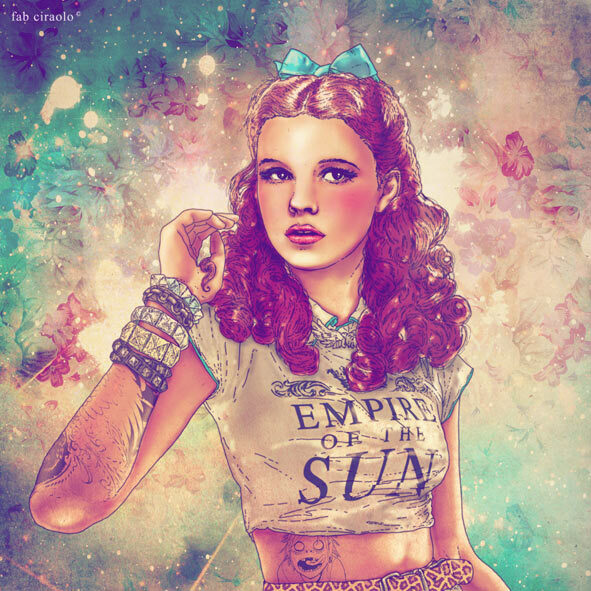 This entry was posted on Thursday, March 22nd, 2012 at 15:14	and is filed under Art and tagged with acid wash, Art, artist, beautiful, blog, design, dope, fab ciraolo, heros, illustrator, italian, judy garland, marlene dietrich, stars, tattoos. You can follow any responses to this entry through the RSS 2.0 feed.